If you feel especially motivated to lower your heating bill this winter, consider a caulking project to reduce the amount of cold air that gets through your door or window frames. If you do it right, your house will be noticeably less draughty and you’ll like the change in your heating bill as well. 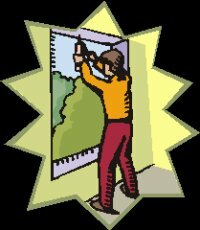 First, inspect the frames around your windows and doors on the outside and inside, especially in communal living areas where you’ll be spending a lot of time. Look for draughty areas or areas where the previous caulk has peeled away. Make sure you choose a nice, warm day for caulking. Read the package on the caulk you buy as to what temperature it must be outside so it firms up well. Generally, it’s in the area of 50 degrees. Clean and dry all areas to be caulked with a damp sponge and dry towel. It’s best to use the same type of caulk that already exists on the window frame; however, if you don’t know for sure, bring a sample to the hardware store to see if they can help you identify it. 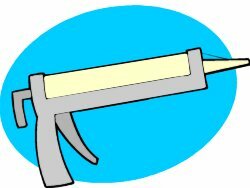 Most caulks are polyurethane, polysulfide or silicone. Silicone usually can’t be painted, but you can buy certain types of silicone that is made paintable and provides you with a nice water-tight and air-tight seal. Buy a caulking gun, a utility knife and a pointing tool to smooth out the bead of caulk. You can always use a damp rag and your damp finger to shape the bead once you lay it down or the back of a spoon to give your caulking job a nice smooth finish. You’ll be using your utility knife for two purposes. You’ll use it to trim away any decaying old caulk and to cut the end off the caulk after it’s in the caulking gun. Cut a hole in the nozzle of your tube of caulk about the size that you want your bead to be. Most professionals cut the nozzle opening at a slant. Lay your bead in the vacant areas and use your tool or your finger to smooth out the bead so it blends in with the existing caulk. It may change color slightly as it dries. After you’ve covered all areas and after it’s dried, go ahead and paint it the same color as the rest of the house or trim, depending on what has been done with the previous caulking.